So what to do with milk that’s near its expiration date? If you hate wasting food / money then you can either have a really big bowl of cereal or you can treat milk as you would other perishable foods like spam, chicken and coconut milk — freeze that sucker! I was inspired to create this post because I had a half-gallon of milk that was expiring the next day and didn’t want to pour out another $2 down the drain if I didn’t have to. Whether milk is still good and worth freezing depends on the particular storage conditions leading up to it, but to keep it simple, we’ll assume that the milk is still good and is at least a day before the expiry date. Can You Freeze Milk and How Long Does Frozen Milk Last? Yes, you can store milk in the freezer and freeze milk. When freezing milk, even on the final day of its expiration date, will keep the milk good good for one month at the very least. The length of time that frozen milk is good varies depending on which online resource you read. There are articles claiming that frozen milk is good up for 2-3 months and others say up to six months. 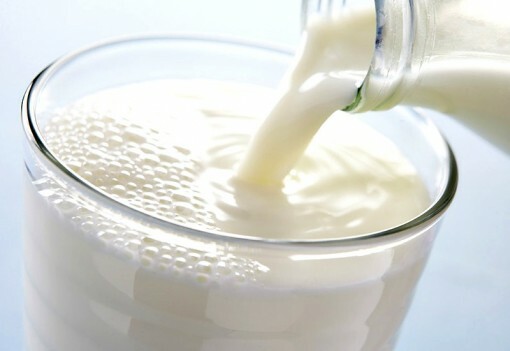 Storing Fresh Fluid Milk: Milk can be stored frozen at 0 °F for up to three months and will be safe to drink if it is thawed in the refrigerator, although it does not retain its smooth texture. Whatever time frame you are most comfortable with, you can freeze milk to make it last longer. With frozen milk, you can ignore the printed expiration date on the carton as long as it was placed in the freezer prior to expiration. Just kidding there’s no professionals, but there are best practices to freezing milk. Even when thawed properly, frozen milk is not going to come out as fresh as when you put it in the freezer two months ago. That’s the universal truth for all frozen foods. Frozen milk is still good, but there are some sacrifices in taste as well as some loss in vitamins and nutrients. Still, it’s well worth the extra life you add to the nearly-expired cow juice. Putting milk into the freezer before it expires allows you to extend the milk’s shelf life for months. With some prep and patience, you can use frozen milk to make milk ice cubes, frozen ice cream, a milk popsicle or homemade iced lattes. Don’t get it twisted, the frozen milk possibilities aren’t endless, but you definitely have more options to create something tasty with frozen milk than sour, expired milk. I drink a lot of fat free milk. I usually buy 2 gal at a time and freeze one for a few days. I don’t see separation or texture or taste difference in the frozen milk.